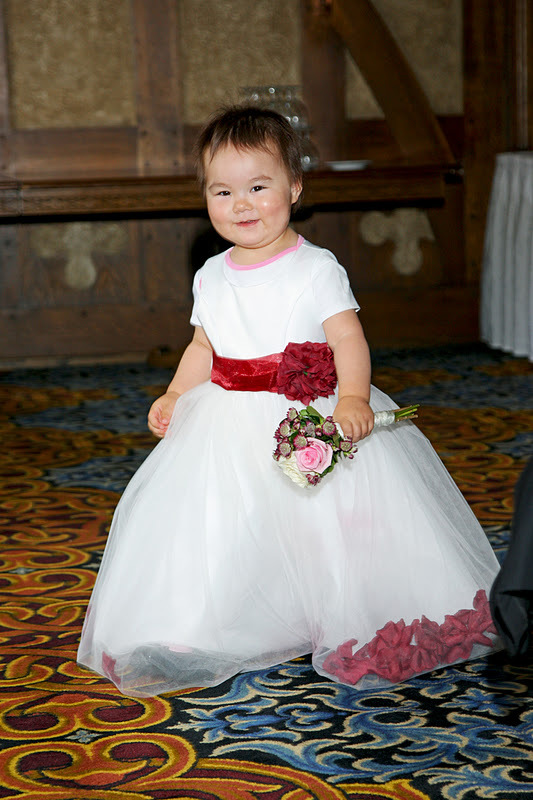 Anna Marie was so adorable - she almost stole the show! 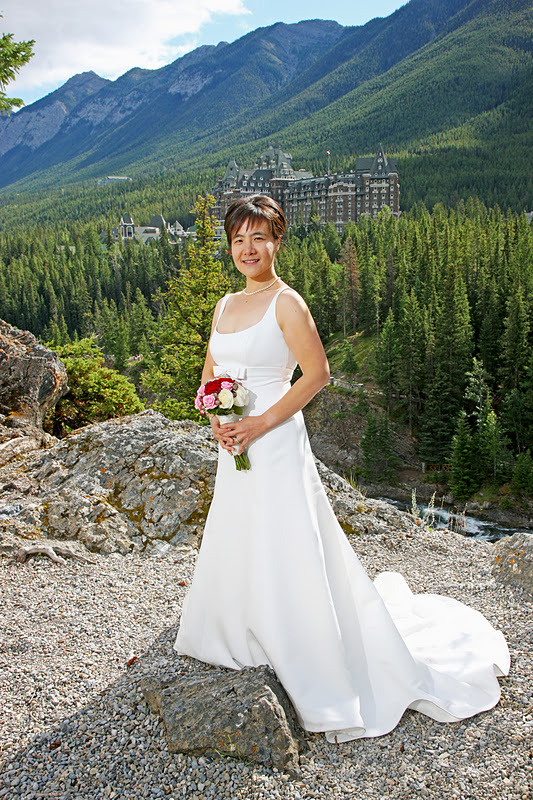 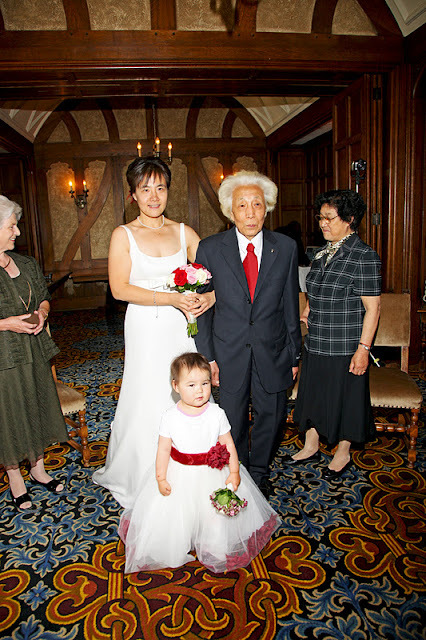 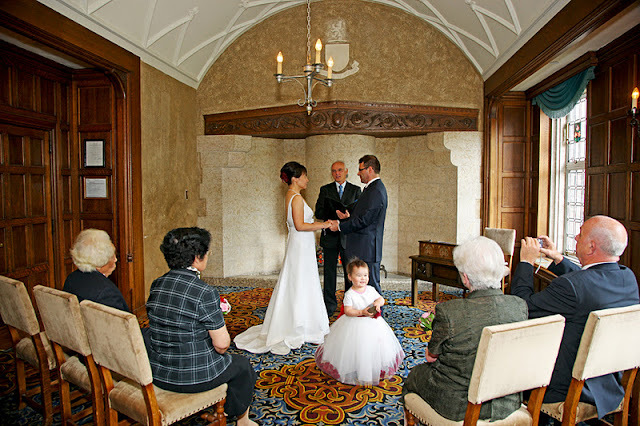 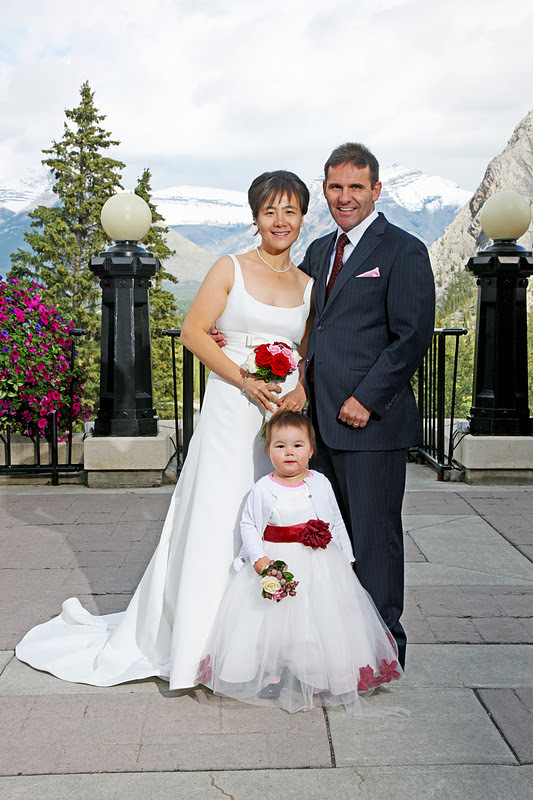 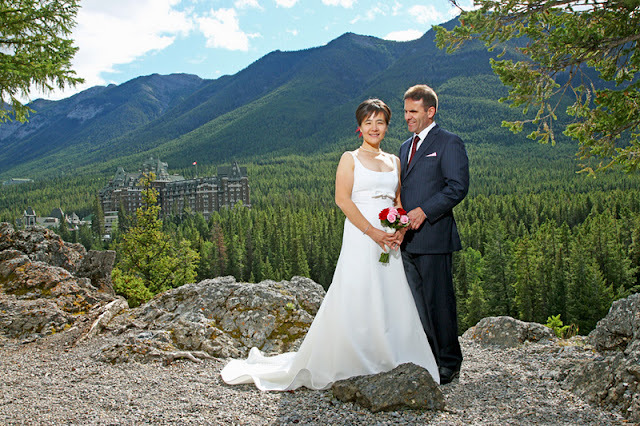 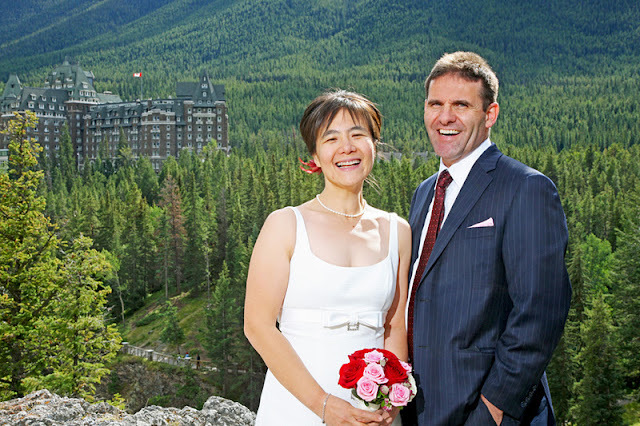 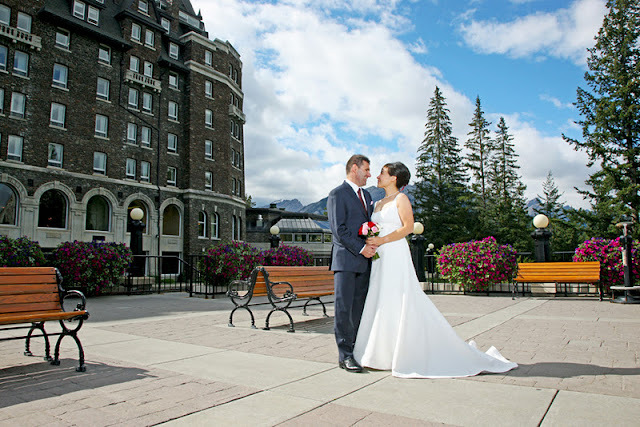 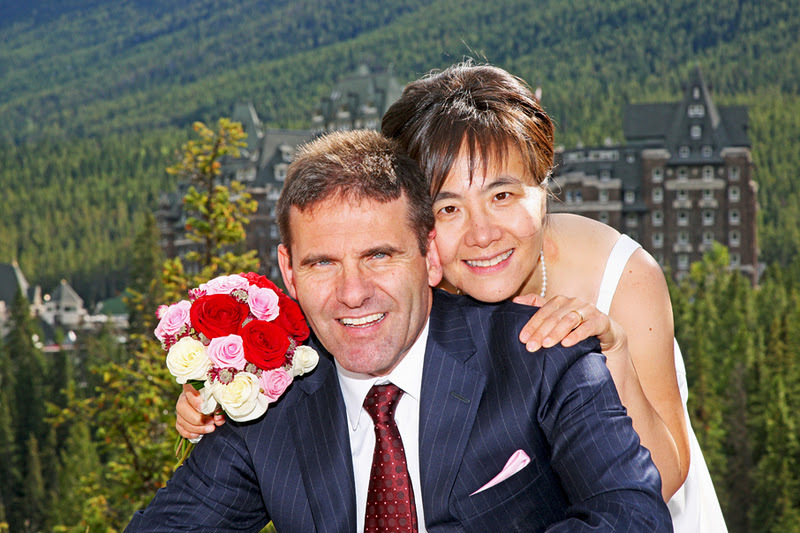 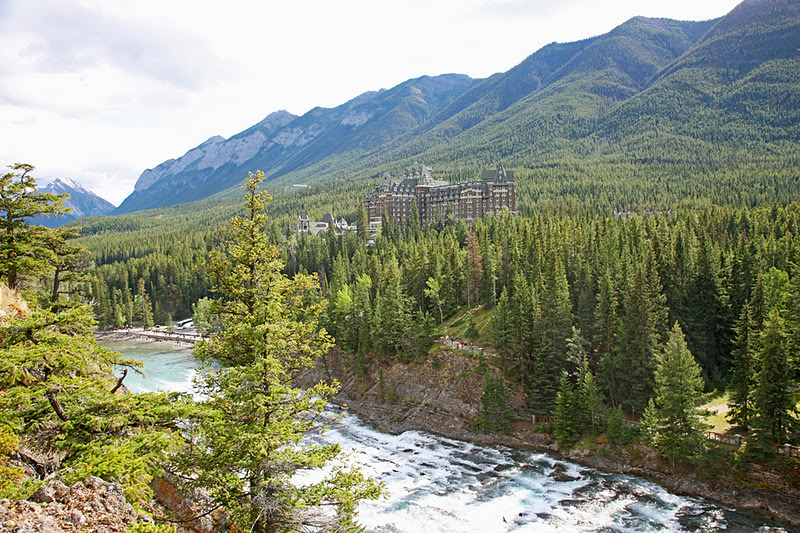 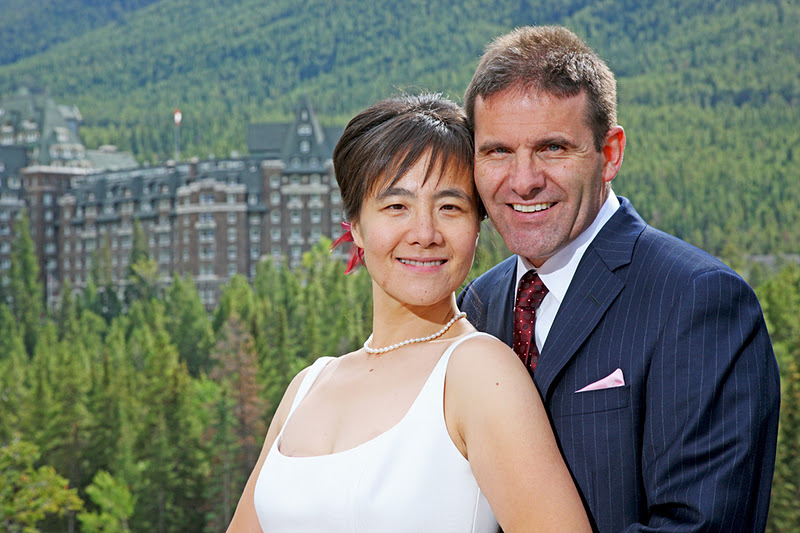 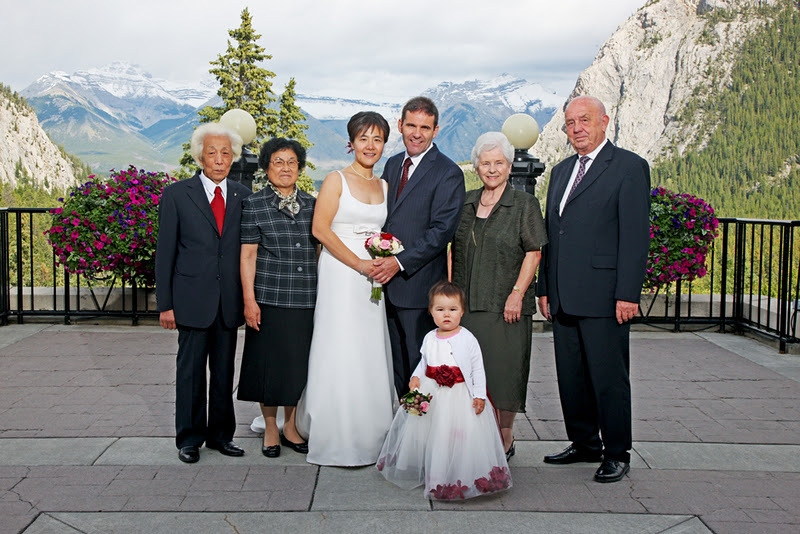 The world famous Banff Springs Hotel, a wonderful place to celebrate your wedding. 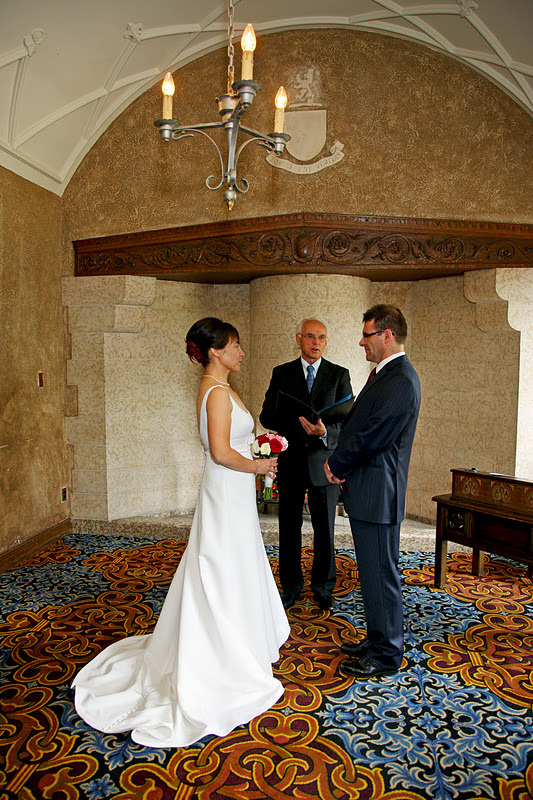 perfect for smaller, intimate celebrations. 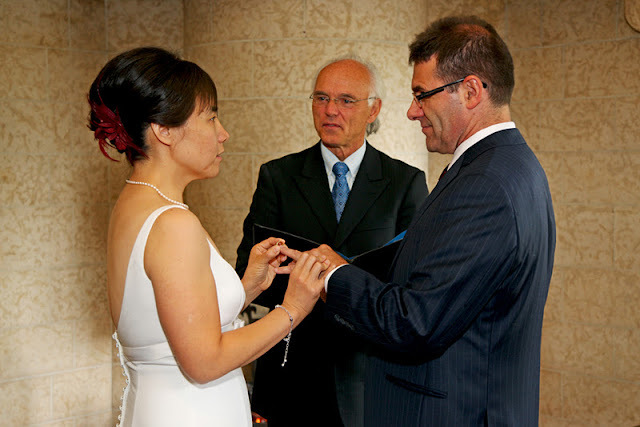 Marriage Commissioner Rob White performed a beautiful ceremony. There is a great view right there on the terrace overlooking the Bow Valley. 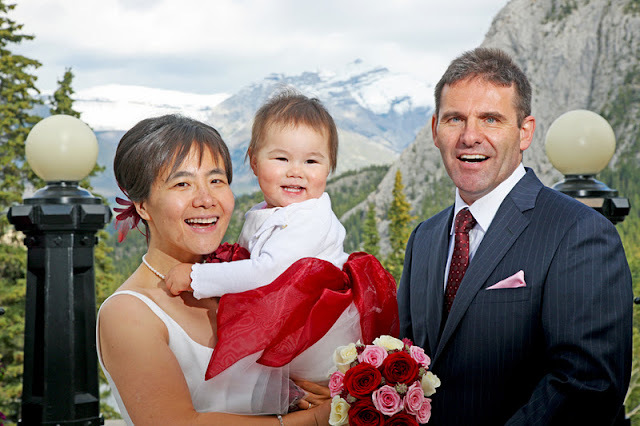 Congratulations to Kay & Oliver!